⚠️ NOTE: only Organization and Workspace Admins are able to add or remove users. There is no additional cost to invite someone to your workspace. Users within a workspace have access to all of its collections, pages, leads, and analytics. 3. 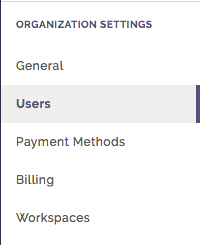 From here you can view, add, or remove users within an organization. Click "Add Organization User". Enter their email, and click "Add User". They will receive an email in their inbox. NOTE: You must first add your teammate as an Organization User before you can assign them the Organization Admin role. 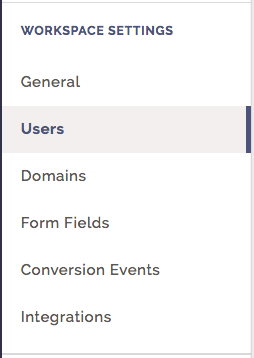 Hover over their information in the list and click "Make Admin" on the right. You'll notice that a yellow "Admin" icon by their name will appear. The Organization Admin role is able to view and edit all Organization and Billing settings. They can give or remove user access to any or all workspaces within the organization. They can also access all workspaces in the organization. 3. 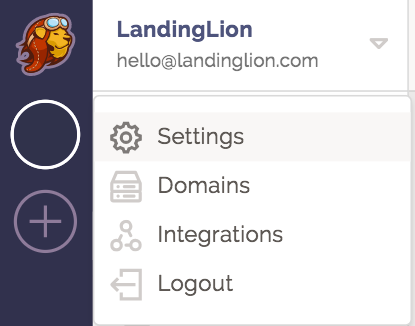 From here you can view, add, or remove users within a workspace. Click "Add Workspace User." Enter their email, and click "Add User." They will receive an email in their inbox thereafter. NOTE: You must first add your teammate as an Workspace User before you can assign them the Workspace Admin role. The Workspace Admin role can only access the workspace(s) to which they have been added. They have permission to view, edit, trash any and all collections, pages, variants, templates, files, and edit workspace settings for the respective workspace. To change a Workspace Admin into a Workspace User role, hover over them in the list and click "Make User" on the right. You'll notice that the yellow "Admin" icon by their name will be removed. To remove a user, hover over them in the list and click the grey trash can icon to the right.